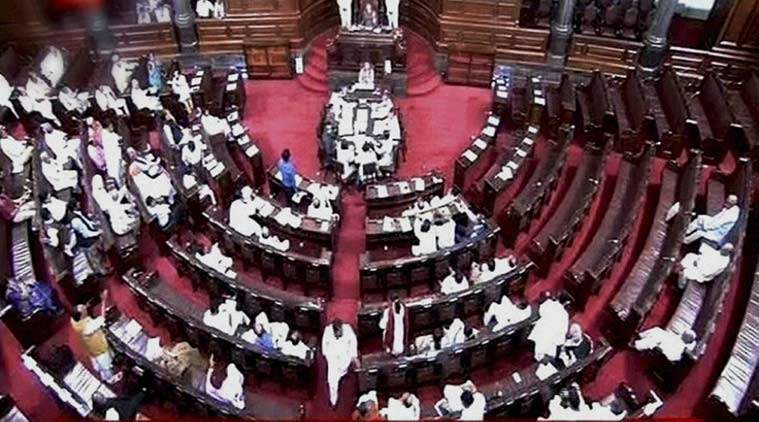 Voting for polls to Rajya Sabha, which will have 58 vacancies in April, began on Friday. 33 candidates from 10 states have been unanimously elected. Voting for the remaining 25 seats is being held in six states. Saroj Pandey, BJP general secretary, from Chhattisgarh. Union Social Justice and Empowerment Minister Thawar Chand Gehlot from Madhya Pradesh for another Rajya Sabha term. Union Law Minister Ravi Shankar Prasad will contest from Bihar. Union Minister of State for Road Transport and Highways Mansukh L. Mandaviya will contest from Gujarat. Minister of State for Agriculture and Farmers Welfare Parshottam Rupala will contest from Gujarat. Dhiraj Prasad to contest from Jharkhand. Akhilesh Prasad Singh and Lekhram Sahu will contest from Bihar and Chhattisgarh respectively. Rajmani Patel, Kumar Ketkar, Porika Bairam Naik and Abhishek Manu Singhvi are contesting from Madhya Pradesh, Maharashtra, Telangana and West Bengal, respectively. West Bengal Chief Minister Mamata Banerjee earlier said the Trinamool Congress would back Singhvi. Counting of votes will begin from 5 pm onwards and results are expected to will be announced the same evening.